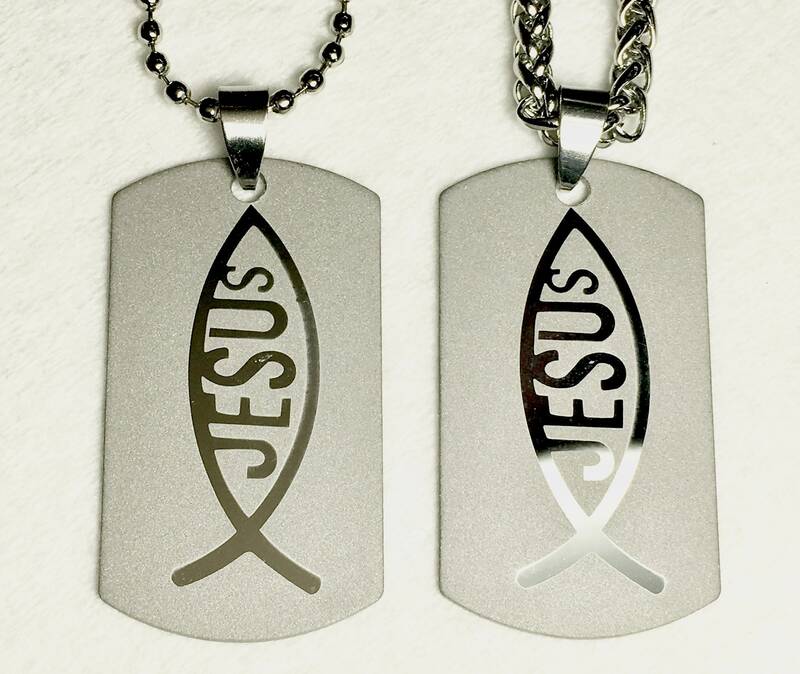 Stunning Stainless Steel Silver Etched Jesus Fish Dog Tag Necklace. The pendant measures 1”x 1 1/2". 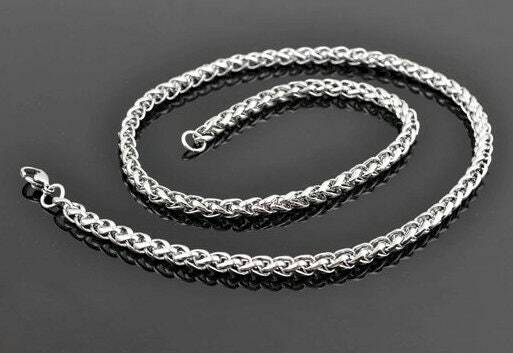 Each Cross Necklace comes with a complementary 24” silver ball chain. 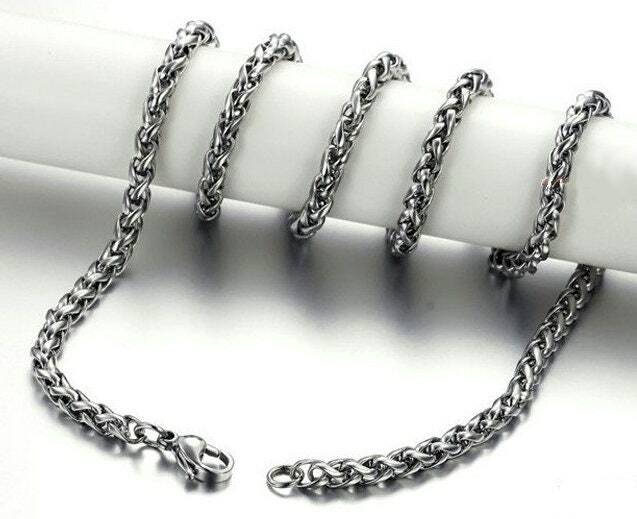 For only $5.00 add our exclusive Heavy all Stainless Steel 4mm wide x 20” braided snake chain chain with positive locking lobster clasp. See pictures above. 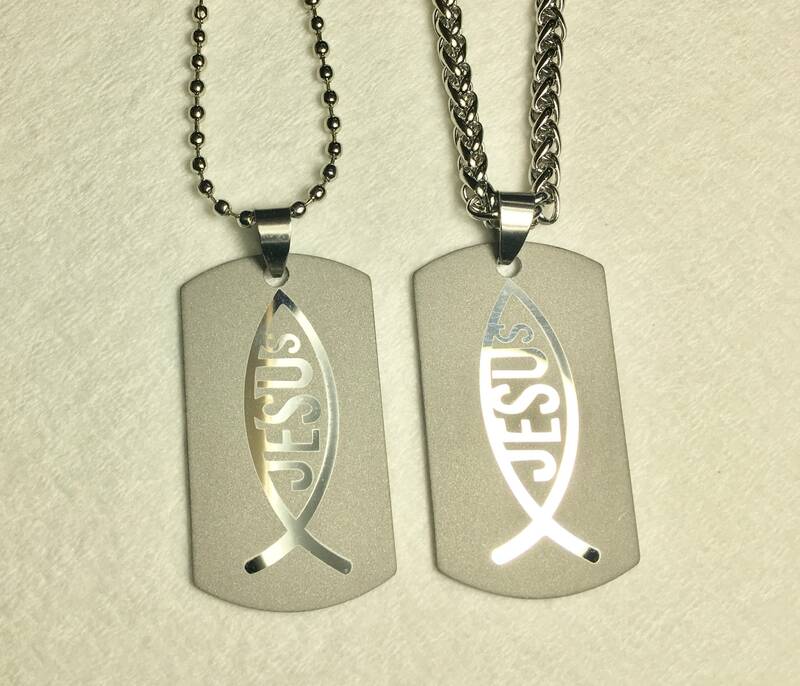 The All Stainless Steel design is the Ultimate in hand made Crosses. Each Cross is hand etched front and back, hand cut from a Stainless Steel sheet, then drilled, chamfered, wheel polished, and cleaned. The Front is Patterned and Sandblasted with graphite dust into a contrasting High Gloss and Gray background design! The entire Pendant is Stainless Steel Cross and it will retain it's luster for many years to come. Why such a low price for such an intricate painstaking labor intensive process? We want to ensure you can afford to have a Cross that was first our story of our labor and creativity that then can become your story with your spiritual crossroad poured into it. The hope is that such a distictive design will inspire others to notice your desire to share your own story. Very High Quality item for such an excellent price.